After a false start yesterday, when it quickly became apparent that I had to use panniers to lower my center of gravity before I’d feel steady on the road, by 10am I was off to a strong start in the sunshine. Cetinje is about a 36km climb from Podgorica, and to a seasoned cyclist, this would only take about two hours. It took me four! I haven’t been regularly cycling for some time, so I spent much of the way pushing the bike. I’m ok with that though – it was day one and the important thing is that I didn’t stop! My bicycle touring rolls on. Leaving Podgorica, the view was breathtaking. Looking down on the city, and later across mountains and water to see further white-capped mountains, the scenes were like color-drenched paintings in perfect resolution. I rolled into Cetinje just, as rain started to fall. The old capital is picturesque and cultured, no half-finished buildings like in the new capital and plenty of pedestrians out and about despite the drizzle. After a coffee and a bite to eat, I visited the palace of King Nikola. With half an hour till closing, I smiled my way into free admission, feeling like a naughty child running around the rooms of this enormous extravagant home, snapping photos until the attendant found me and told me that photos weren’t allowed. She then amiably walked with me, discreetly escorting me out! Despite having intended to avoid paying for accommodation, I booked a room at La Vecchia Casa because I had not prearranged Couchsurfing. At only 17 euros a night for a single room, I think I got the cheapest room in town! It was certainly the most charming. 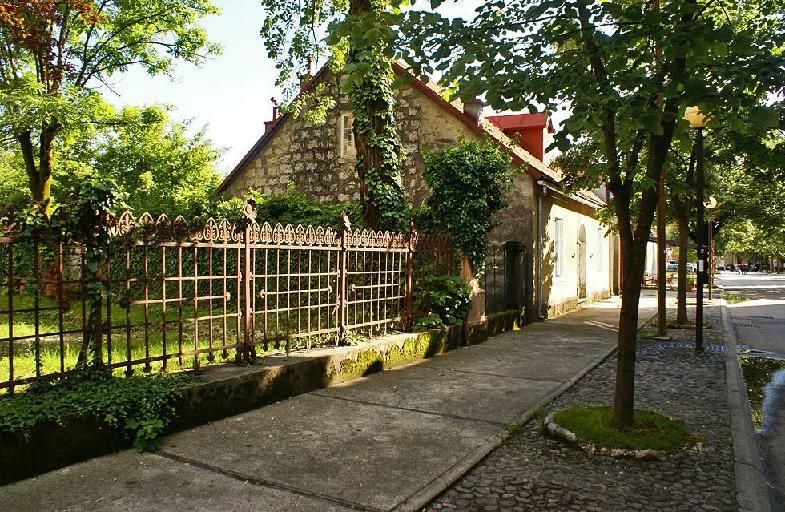 La Vecchia Casa means The Old House in Italian, and it is one of the houses in Cetinje remaining from King Nikola’s time. Hotels.com gives it just two stars, which might be because of the shared downstairs bathroom. I’d give it two stars and five hearts for the spacious room comfortably furnished with a bed, dining table, writing desk, wood fire stove, large common kitchen, big bathroom with a bathtub that I made full use of shortly after arriving and the friendly welcome I received. The little touches like home such as complimentary toiletries in the bathroom, tea, coffee and breakfast, a soft dressing-gown and a pretty garden made it extra special. The business is run by a mother and son. I’d recommend it in a heartbeat. Where can I rent a bike near Podgorica? Hey Dave, we have a few spots you can rent one. Next time you come, we’ll take a ride. A farm stay located near Biogradska Gora National Park. Farm life and organic foods with mountains and adventures all around.